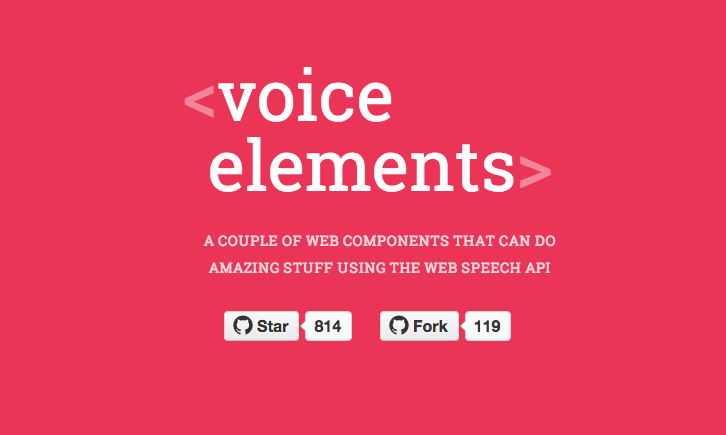 <voice-elements> is a web Component wrapper to the Web Speech API, that allows you to do voice recognition (speech to text) and speech synthesis (text to speech) using Polymer. Voice recognition is the translation of spoken words into text. This is achieved in the browser by using the SpeechRecognition interface from the Web Speech API. Speech synthesis is the conversion of language text into speech. This is achieved in the browser by using then SpeechSynthesis interface from the Web Speech API.